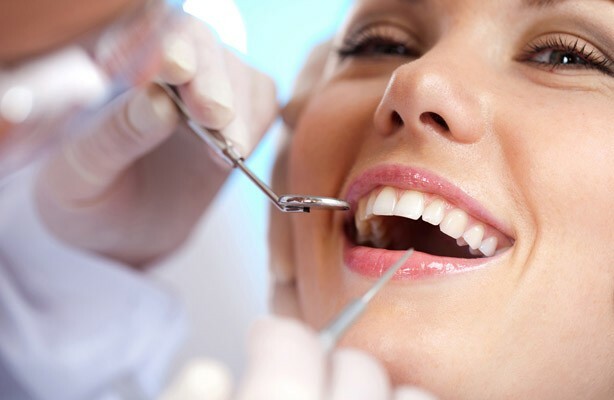 Root Planing & Scaling – It’s a non-surgical way to treat gum diseases before they become unmanageable. Scaling removes tartar from tooth surfaces, and root planing smoothes or planes out the root surfaces thereby removing any infected tooth structures. Sealants – Hard to reach areas inside your mouth can’t always be cleaned even with toothbrushes. Such small zones can develop bacteria and lead to tooth decay. Plastic resin like dental sealants bond with and conequently harden the deep grooves in your teeth, smoothing them and making it hard for plaque to grow. Fluoride – In addition to preventing tooth decay and cavities, fluoride also fights plaque. Treatment lasts a few minutes after which you’ll be asked not to eat or drink anything for the next half hour. Your teeth absorb the fluoride and protect you until six or so months later when you’ll be scheduled for another treatment. Digital X-Rays – These imaging options display clear digital photos of your dentistry and patients are exposed to less radiation than the traditional counterpart. Whatever cleaning requirements you might have, this stands as one of the best methods for teeth cleaning by way of preliminary examination. Oral Cancer Screening – This form of cancer is more common that expected. The adage ‘prevention is better than cure’ runs true in this case. Using white light and viewing scopes, dentists work to find if your mouth tissues are affected. Abnormal tissues show up darker under the light but a second scan will confirm if it really is something to be concerned about. This is taking cleaning to a whole new level, making it one of the smartest methods for teeth cleaning through preventative means. Laser Cavity Screening – A laser scanner studies your mouth all the while sending signals to a digital read-out. It measures the fluorescence within each tooth’s structure and identifies cavity-prone areas in the small spaces between, in, on or around your teeth.